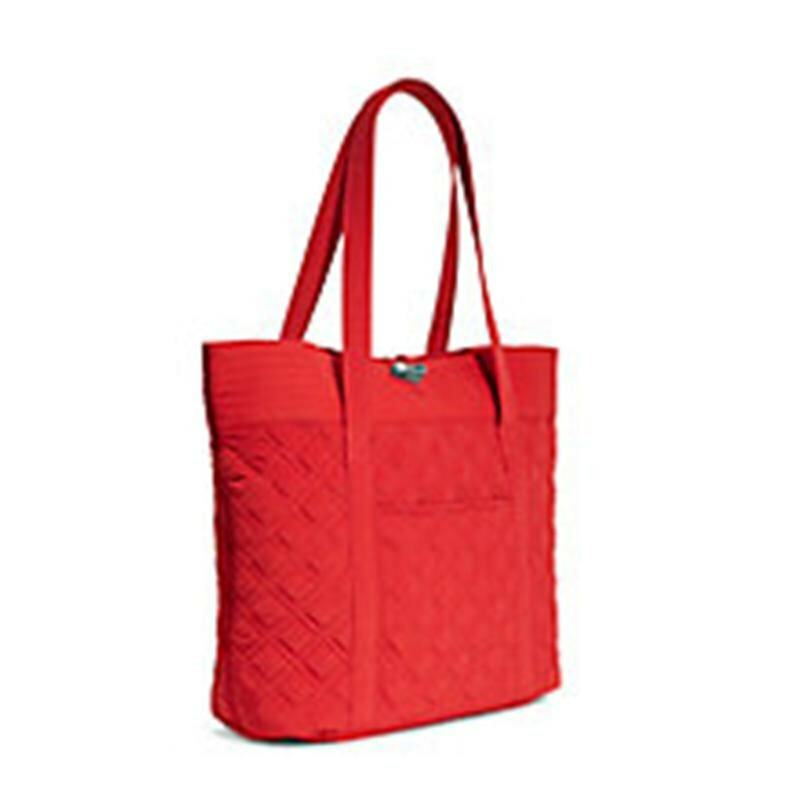 The Vera microfiber tote is great for travel or hobbies. 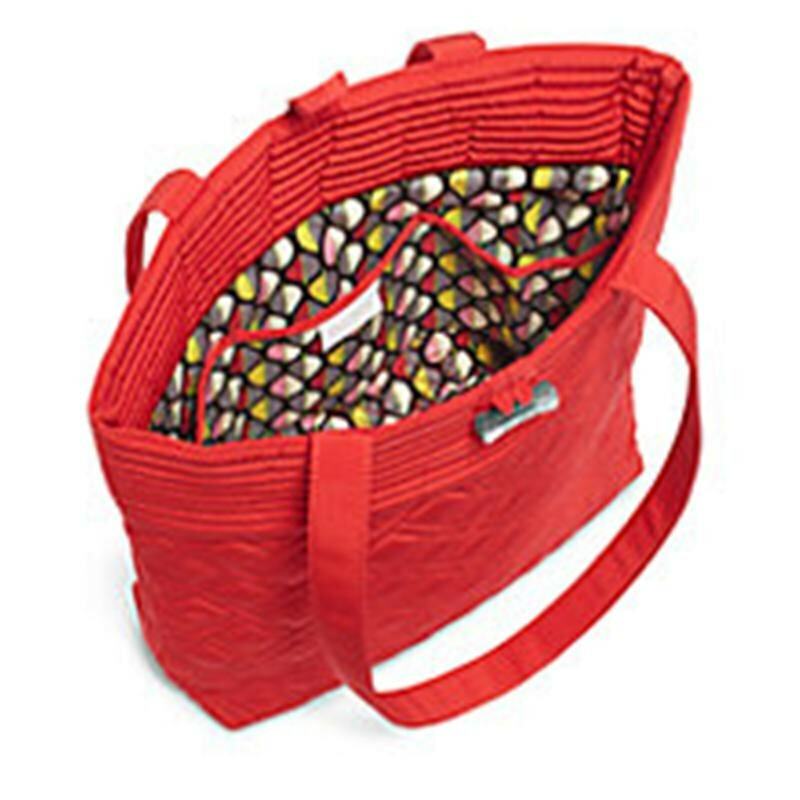 Six inside pockets keep essentials neat and accessible.Two external pockets - one slip-in and one zippered - keep phone and keys convenient and secure. 15" wide x 14 3/4" high x 6 1/4" diameter with a 11" strap dop. Silver-toned toggle closure. 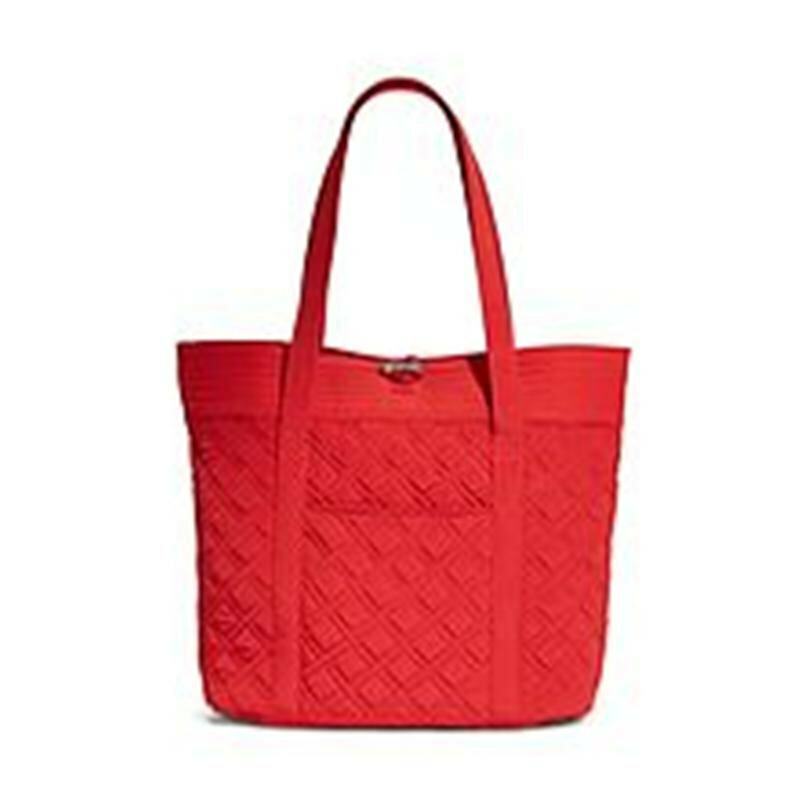 Monogram it if you like. Perfect for your Valentine.